Two skiers discover Abbie Cooper's body. She had been dead for some time and her body was frozen in a mountain creek. Abbie was wanted for murder and ecoterrorism but how did she come to be alone, shot, and in an isolated area like this? 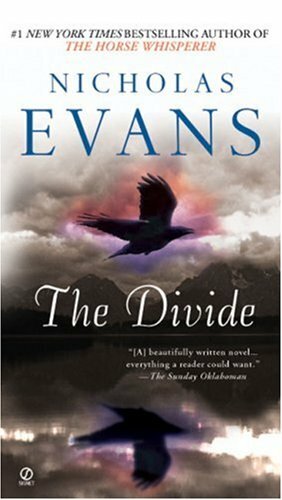 "The Divide" tells the story of Abbie Cooper as an innocent teenager who was about to finish her high school days and who had close family ties. She loved her family and the life they had together. Her family life seemed idyllic as she and her family went on their annual vacation to a dude ranch in Montana. At the dude ranch, Abbie met and became romantically involved with a ranch hand, Ty Hawkins. One day, Ty brought Abbie to his parents ranch, a wondrous place where his father raised horses. She learns that companies are drilling for gas in the area and he's been notified that they will be drilling on his ranch. When his family and others in the area bought the land, the government only sold them the surface rights. The government kept the mineral rights and has been leasing the land to private companies. Abbie and her family went on with their vacation and their lives seemed normal until her father, Ben, decided to leave the family for another woman. This had a simmering adverse effect on Abbie. She picked a college in the west where she became involved in various protest movements. This progressed into more radical movements and hardened Abbie toward corporations who she felt were harming the ecology. In this story, the author provides the reader with a well described story showing how divorce can destroy a family and that it is often the children who suffer the most. There was good pacing in the novel and Abbie was a well described character who the reader comes to feel sympathy for. Dewey Andreas, former Seal and Delta, receives a message to meet Israeli Special Forces commander Kohl Mier, in New York. Dewey owes a debt to Mier for saving Dewey's life. Mier's Special Forces unit rescued Dewey from a previous mission when Dewey was betrayed and turned over to the terrorists. 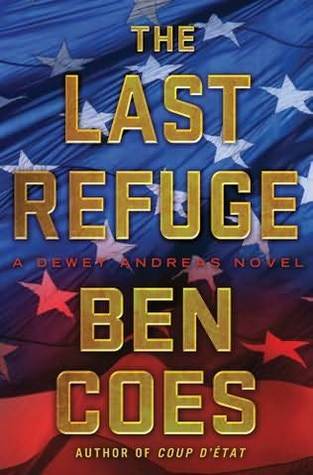 When Dewey arrives in New York, he learns that Mier was kidnapped by Iranians. Mier's rescue of Dewey gave Iran a black eye and gained their hatred. Now they have taken him to Evin Prison in Iran. He will likely be tortured, face a mock trial and publicly executed. In the meanwhile, a new President, Dellenbaugh, is sworn in after his predecessor died of a heart attack. Iran is offering to meet the United States to discuss peace but Israeli intelligence informs the U.S. authorities that Iran has a Nuke ready to strike Israel. It's hidden in a deep cave and seems invulnerable. Dellenbaugh's inclination is to attend the peace conference but his advisers tell him it will be a farce and Iranian officials are lying. The situation seems impossible. Meir is in Iran's most protected prison and is sentenced to die but Dewey can't let that happen and the United States government can't be seen to support Dewey's actions so he must turn elsewhere in attempt to free his friend and somehow come up with a means that won't allow the Nuclear bomb to be unleashed. This is one of the most tense stories I've read this year. Action and suspense on every page. There is also good character development as we see what is going on with character's lives outside of the scope of the story. 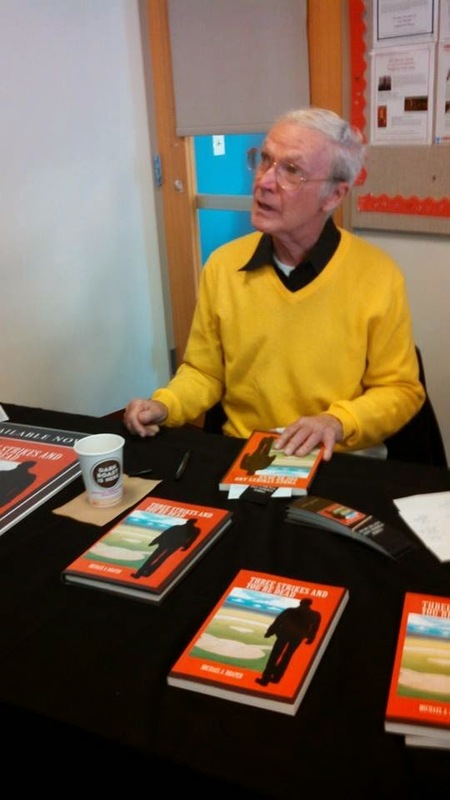 In this manner, the pacing of the novel is well done and we get to see what is going on with the governments of Iran, Israel and the United States. The story seems well researched and the plot is highly entertaining. Written by one of the leading writers in Scandinavian literature, "Last Will" has investigative journalist Annika Bengtzon attending the ball that followed the Nobel Prize award ceremony. Adding to the suspense, we witness events through Annika's eyes then trough the eyes of the killer. Annika becomes a witness to the murder of Caroline von Behring, who is shot in the heart. Von Behring was the chair of the committee to select the prize for medicine and there doesn't appear to be any reason to kill her. As a witness who came eye to eye with the killer, Annika can't wait to get back to the newspaper office but police place her on a disclosure ban. She's prohibited on reporting of what might have been the story of a lifetime in case she reveal something vital to solving the murder. Also wounded in the shooting is an Israeli, Aaron Wiesel who shared the prize in medicine with an American. It was for their work in adopting stem cells for therapeutic cloning. Frustrated in not being able to do her job, she is given time off from work but still tries to investigate things. She deals with a husband who doesn't seem to appreciate her and then in her inquiries, she becomes a target for the killer. Markland has a talent for prose as we read the character's words and follow their actions, we get a clear picture of what the author intended in that segment of the story. She creates a puzzle that the reader follows and emotionally join in Annika's search for the answers in this well developed plot. A. be a follower of this blog. B. Go to above link and see the review of "Last Will" on Amazon. At the end of the review indicate "YES" helpful. C. give email address for contact. D. Indicate steps A and B have been completed. F. There will be two winners. When it's my turn for the grave, I want to look back at my life and say, "That was a great time." 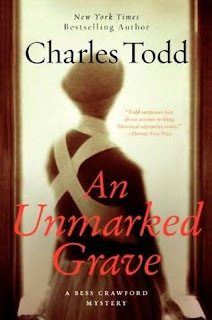 "An Unmarked Grave," opens with a scene at a military hospital in France in 1918. The ward is full of soldiers and medical staff taken ill, many dying from the Spanish Influenza. The medical staff was struggling to keep men alive but it seemed they were losing the battle as more and more bodies were carried out to await burial. Nurse Bess Crawford is asked by an orderly to look at one of the dead bodies. It is of a Maj. Carson who had been murdered. Bess intends to report this but is struck down with influenza and evacuated to England. Upon recovering, she's told that Maj. Carson died after being struck by shrapnel. Being a courageous woman and the daughter of a well respected army officer, when Bess returns to France she tries to inquire about the discrepancy. She's informed that the orderly who informed her about Maj. Carson became depressed and committed suicide. Bess won't let this sit because she understands human reactions and, to her, the orderly was a person trying to help the injured and sick and suicide wasn't a likely scenario. To get answers, Bess uses her persuasive ability and visits people in England to see if what happened in France made sense. Unknowingly, she becomes a target herself. Along with an interesting story about a historic time, the reader gets a good image of war torn France in 1918. An example is the damaged city of Rouen which Bess describes as she sees the destruction and tells us of the sites such as one building where the only thing remaining was a chimney. Charles Todd writes in a visual manner so it's easy for the reader to picture the devastation to the French countryside and the difficulties of caring for the wounded. The image of Bess trying to care for the sick and injured reminded me of the recent Downton Abby story where we could see injured at a hospital back in England. The story is very well written and painstakingly plotted with some surprises and excellent psychological insights into the characters. 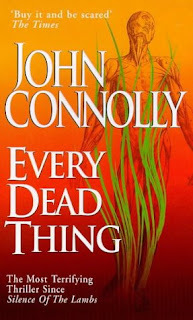 In one of the most exciting and suspenseful mystery debuts, John Connolly tells of former NYPD detective Charlie Parker's search for the deranged killer who mutilated and murdered Charlie's wife and daughter. Trying to go on with his life after the gruesome killing of his family, Charlie is asked to find Catherine Demeter who was dating the woman who hired Charlie's step-son and has disappeared. As he searches, he meets a psychic. She tells him that she hears the cries of another young woman who died in the same manner as Charlie's wife and daughter. 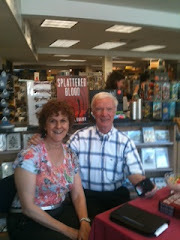 Charlie travels to a town called Haven where Catherine Demeter was from. The people are trying to ignore the murders of a number of young children that happened in the past. He's unwelcome in this town but continues his search for Catherine and uncovers facts about the murderers of the children who were still active. 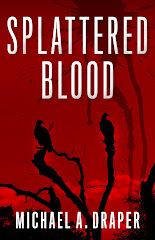 The description of the characters and the heart beating pace of the story is so well done that it is difficult to pause from the dramatic events. 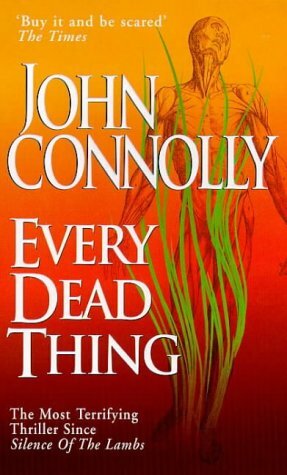 The author provides a relief from this by periodically allowing the characters to reminisce about things in the past. This also serves as a way to develop the character and permit the reader to know them better. In addition to the main story line, we have the underlying story of good versus evil. This is so much in evidence that at one point the killer's actions lead one character to speculate that the killer believes he is a representative of the devil. This book is not for everyone but for those who want a story and enjoyed "The Silence of the Lambs," this book will be one that most readers won't forget. N.Y.P.D. detective Ellie Hatacher and her partner J. J. Rogan are called to the scene of an apparent suicide. The victim is age sixteen and from a wealthy and influential family. Alafair Burke uses her knowledge of the streets of New York to create action that rolls out as if the reader was a pedestrian in the street or in Washington Square Park, listening to the sounds of laughter and watching the eccentricities of the cast of characters. Ellie not only investigates the questionable suicide of this teenager but has flashbacks of her own policeman father who was found dead of an apparent self inflicted gunshot when Ellie was of an impressionable age. She considers if she "...could simply set aside her own past like a discarded shopping bag." When Ellie talks of her youth and her hero father, she remembers the occasions when he'd discuss his work. We wonder if this could be anything like young Alafair Burke growing up with her own multiple award winning father, James Lee Burke. The teenage children and their relationships with their parents are the heart of the story. Many of these teenagers have been cast aside by their parents and are attempting to live their lives on the streets. Another important theme is the abuse of prescription drugs and antidepressants. There is rich character development as the author deals with the teenagers and we learn of their histories and the background of some of the parents who seemed so perfectly situated in their world. The author keeps the reader guessing through the intricacies of the story and the reader will shake their heads in appreciation of the author's writing skill as we read the concluding chapters of this entertaining story. 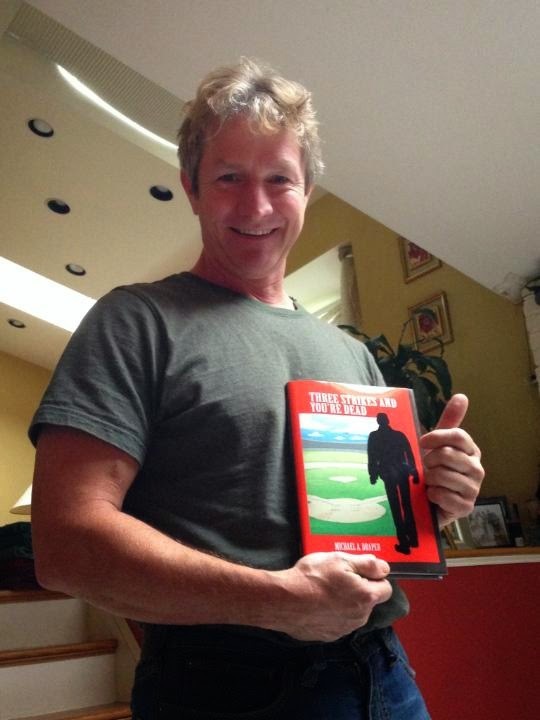 3. use above link and see the Amazon review of the book and indicate the review was helpful. 4. leave email address and indicate steps 2 and 3 have been completed. Imagine an entire family being tortured and murdered by crazed killers who were looking for information that the family never had? Think about if you worked with computers with a bank and found a way to divert millions of dollars from an automated account. It would make you feel confident that you and your accomplices committed a perfect crime. However, you learn of a software company vice president and family being murdered and the killers leaving a note on the wall "were coming." In improper English. Lucas Davenport is on the case and attempts to learn what information the family might have had. With the manner of torture and killing along with the ungrammatical note, officials believe they are dealing with a group of murderous drug dealers who operate on both sides of the border, they are called Los Criminales del Norte. 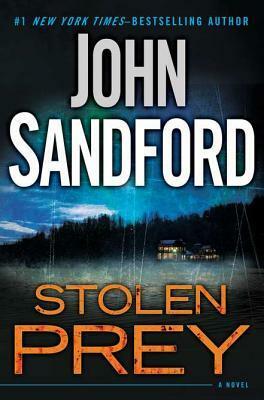 The pacing of the story is well done as the author describes what is happening with the killers, then we see the status of the investigation and then at the armature thieves who had no idea of what an explosive situation they were getting themselves into. 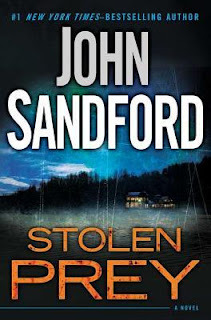 John Sandford is a master of dialogue and rates in the class with Elmore Leonard in that regard. 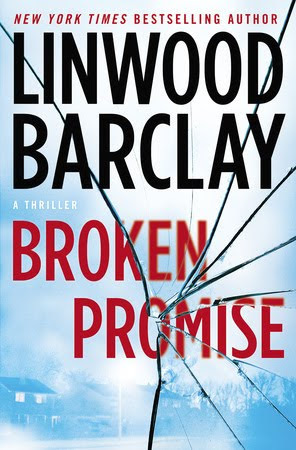 His character, Lucas Davenport is a legendary criminal investigator whose actions and manner of apprehending criminals are very realistic and make him a pleasure to read, so much so that with the well written conclusion of the novel, it is sad to see the story come to the end. 2. use above link and see the Amazon review and at the end of the review indicate that the review was helpful. 6. Giveaway ends May 26th. Good luck. "There can be no deep disppointment where there is not deep love." Martin Luther King, Jr. 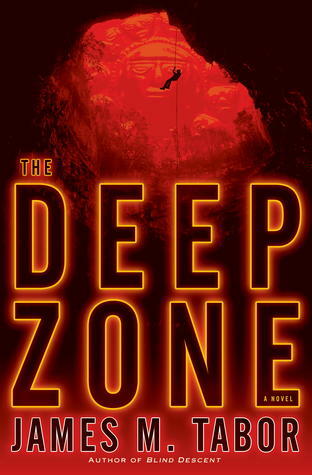 In this adventure novel, a deadly flesh eating disease appears in wounded soldiers in Afghanistan. Before U.S. medical staff realize what they're dealing with many of the wounded are shipped to other bases bringing the disease and terror with them. A group of scientists is assembled to find a cure. Material that has cured other virus in a lab, had been found at the bottom of one of the world's deepest caves. This cave is located in a dangerous region of Mexico where drug related activities and killings have taken place. Dr. Hallie Leland had worked for an organization called BARDA and showed the promise of this material but she was fired just when her work was showing potential. She felt their actions were unwarranted but didn't fight it. 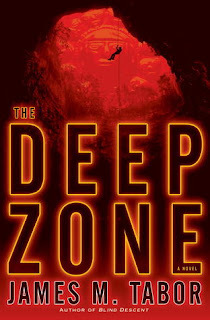 Due to the critical situation and Hallie's experience she is asked to lead the scientific team to the cave to get more of the potentially life saving material. We have parallel stories of the military doctors dealing with the spread of the disease and the scientists at BARDA working for a cure. The reader also knows that a traitor is at work but we don't know if that person and the people they work for wants to steal the drug and offer it themselves or to prevent the drug from coming out so they can sell some other product. There are many sides to this well story and it is fun to see everything come together. Some of the situations didn't seem that probable and when characters reappeared after their apparent demise. I also felt the conclusion of the story left a few ends left to be answered. However, it was certainlly a fun read, perfect for a vacation. What memories do you have of your mother? 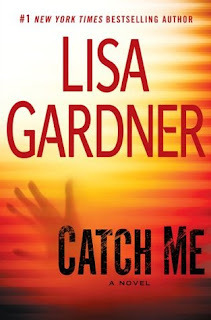 In Lisa Gardner's "Catch Me," one of the main character's chilling thoughts are of her insane mother and how she would injure her daughter during the daughter's infancy. Then she would take her daughter to the emergency room to evoke sympathy from the medical staff and maybe a handsome doctor. On a more common view of motherhood, Homicide Detective D.D. Warren has just become a mother and is basking in the love for her newborn son. She is approached by a woman who wants Warren to investigate her murder when she is killed in four days. 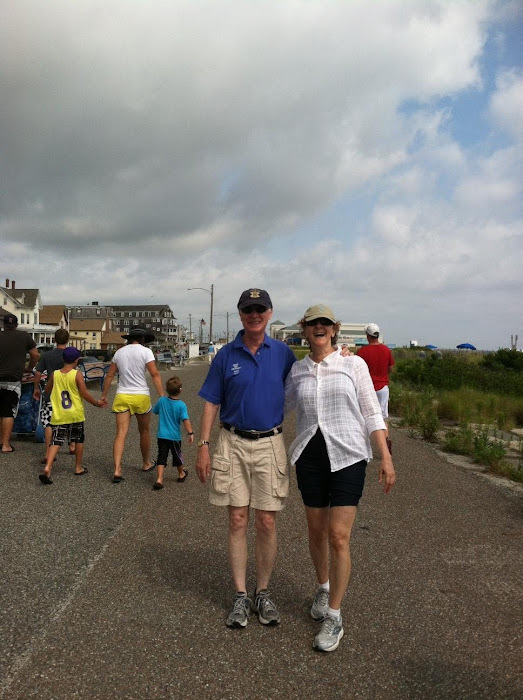 Charlene Rosalund Carter Grant tells D.D. that in the last two years, at 8pm on Jan 21st her best friends have been murdered and now Charlene believes that it's her turn. The story is told as if we are witnessing the countdown to the character's death and there is nothing that she or the police can do to stop it. A parallel story involves D.D. and her unit investigating a number of killings of pedophiles. The tension mounts as the deadline draws nearer and the reader wonders who is responsible for the other killings and if Charlene's precautions will be sufficent to prevent her murder. Gardner adds a number of plot twists which keep the reader guessing about the outcome while adding to the enjoyment of the novel. The dramatic reading of the novel by Kristen Potter was well done and kept my interest while trying to learn how the story would develop. Happiness is brief. Enjoy each day to the fullest. 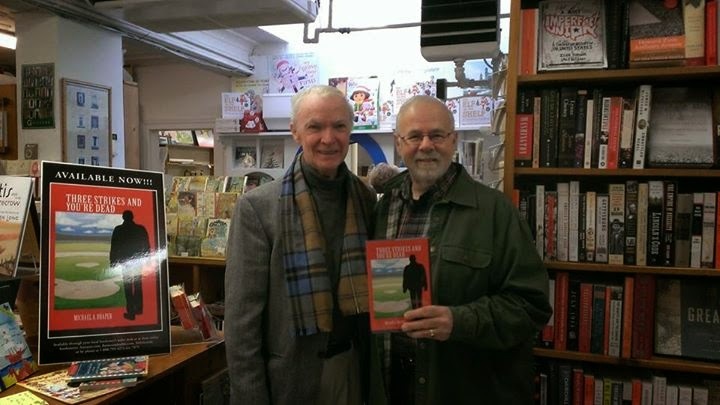 In the recently released, "Redemption Day" by Steve O'Brien, a supreme court justice is kidnapped at the start of the story. 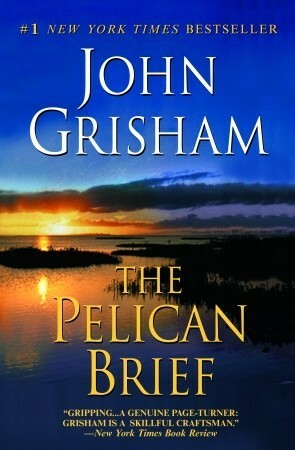 In "The Pelican Brief" two supreme court justices are murdered as the story begins. I found it interesting to compare the stories which were both well written and suspenseful. In "The Pelican Brief" after the justices are murdered, the President feels that it is an opportunity for him to reshape the court. Eight of the justices will be republicans and this could reshape the direction of the country for years to come. Darby Shaw is a bright law student at Tulane and thinks she knows why the justices were murdered. She researches her opinion and publishes her findings in a document called "The Pelican Brief." Darcy is a student and lover of law school professor Thomas Callahan. She shows the document to Callahan and he gives it to a friend in the FBI. Not long after, Callahan is murdered and Darcy becomes hunted and doesn't know where to turn for help. 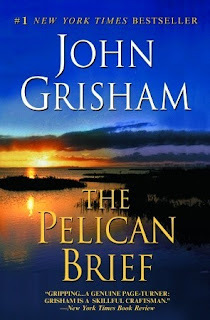 Grisham is an excellent story teller and a master of creating suspense. The reader can sympathise with Darcy who stays alive by her intelligence and quick wit. She can't decide who to trust but continues her attempt to expose the guilty person, at the risk of her life.